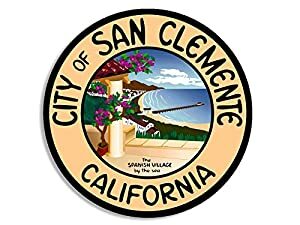 The City of San Clemente contracts with the Orange County Sherriff’s Department for Police services within San Clement. If you were arrested in San Clemente, you were either arrested by a Sherriff or by a CHP. Both the Sherriff’s and the CHP have video cameras in their units which record the enforcement stop, the field sobriety tests and any breath tests given in the field. These video tapes can provide important information for an experienced DUI defense lawyer. If your situation requires that you seek a San Clemente DUI lawyer, we encourage you to contact us at the Law Office of Barry T. Simons. Mr. Simons has become a nationally-known leading mind in the development of successful DUI defenses. Moreover, Mr. Simons has put together a highly competent team of legal professionals who have all been specially trained in the specifics of the laws involved in DUI cases. Finding the right representation has never been easier. Our all-encompassing approach to your case means that we will utilize every relevant legal and scientific tool in order to help you win your case and keep your driver’s license. With decades of collective DUI defense experience, our team is ideally suited to help you through this challenging and complex situation. Some of the methods used to determine a driver’s impairment are suspect and deserve more scrutiny. One of these questionable methods is the standard field sobriety test. Officers who administer this test on the side of the road are often undertrained, and the subjective results mean that the accuracy of the tests should be questioned in court. Putting together a proper DUI defense does take time, so it is imperative that you act as quickly as possible after being arrested and charged. From that moment, you have merely 10 days to schedule a hearing and start the process. Not acting before the 10 days elapse will result in the automatic suspension of your license. The Law Office of Barry T. Simons is dedicated to helping you succeed, so contact us immediately so that we can begin building you a strong defense.